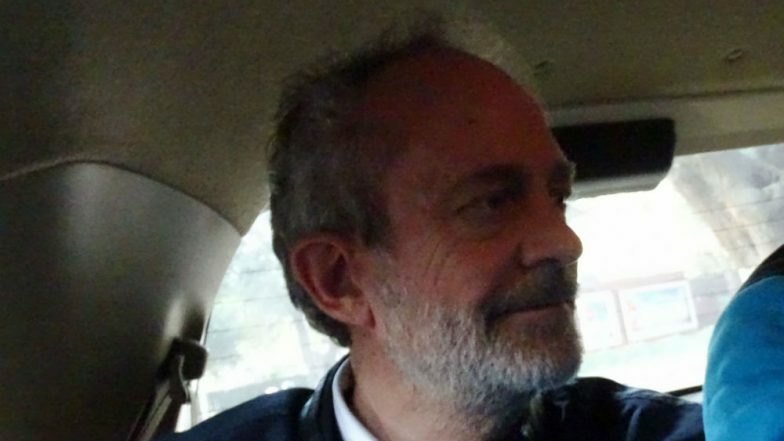 New Delhi, April 16: British national Christian Michel, the alleged middleman in the Rs 3,600-crore AgustaWestland VVIP chopper deal case, on Tuesday moved a Delhi court seeking bail to celebrate Easter. He wished to attend the holy mass on the Easter day and wanted to make offerings during those holidays. The interim bail plea was moved before Special Judge Arvind Kumar, who has sought Enforcement Directorate (ED) and the Central Bureau of Investigation (CBI) response on Michel's application. The court has listed the matter for further hearing on April 18. Michel's counsel Aljo K. Joseph and Vishnu Shankar told the court that the week commencing form April 14 to 21 is a holy week for the Christian and April 21 is the Easter. "Michel wishes to attend the holy mass on the Easter day and would like to make offerings during the Easter day," the defence counsel said. Christian Michel Said 'AP' Means Ahmed Patel, Mentioned 'Mrs Gandhi': ED Chargesheet in AgustaWestland Case. The counsel also told the court that Michel has been in the ED custody since before Christmas -- December 22 to 28, 2018 and was interrogated by the agency even on Christmas. They also apprised the court that being a Christian he was even then not allowed to offer a Holy mass. Michel has been in custody for more than 9 months now that has affected his health and he has lost more than 7 kilos during last 4 weeks, the defence counsel said, urging for a general medical check-up. "The applicant (Michel) intend to file a detailed bail application and the counsels for the applicant/accused is finding it difficult to carry the said documents every time to Tihar Jail for taking proper instructions with regard to the present charge sheet." Michel was extradited to India on December 4, 2018 from the United Arab Emirates.